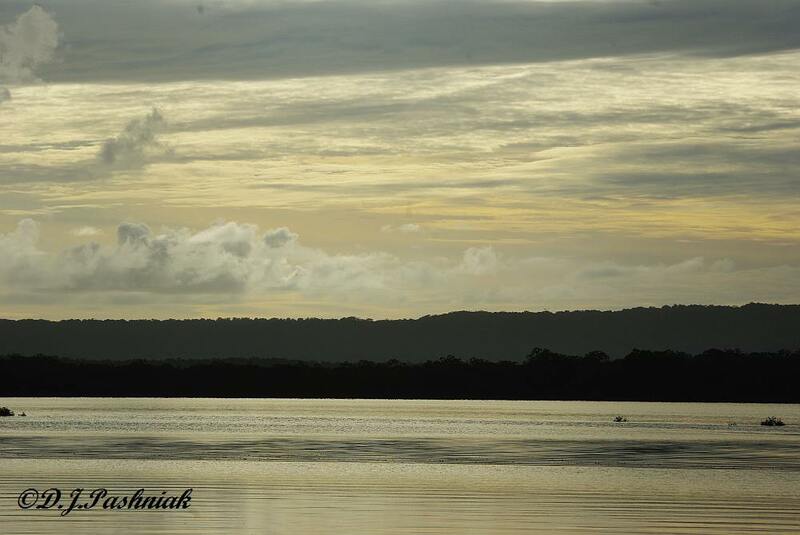 It was a beautiful morning out at Inskip Point. The small shorebirds followed the receding water as the tide went out. Even though the water was only a thin film across the sand, there was no wind and the reflections were perfect. 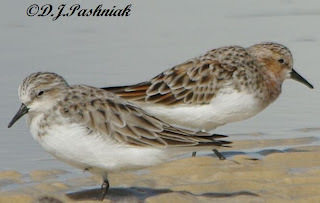 There were numbers of Red-necked Stints (Calidris ruficollis). 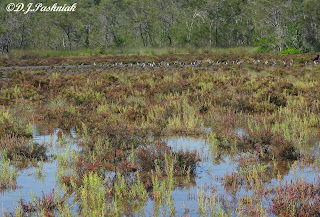 Some were still in their non-breeding plumage but others were showing red breeding color around the neck and down their front. 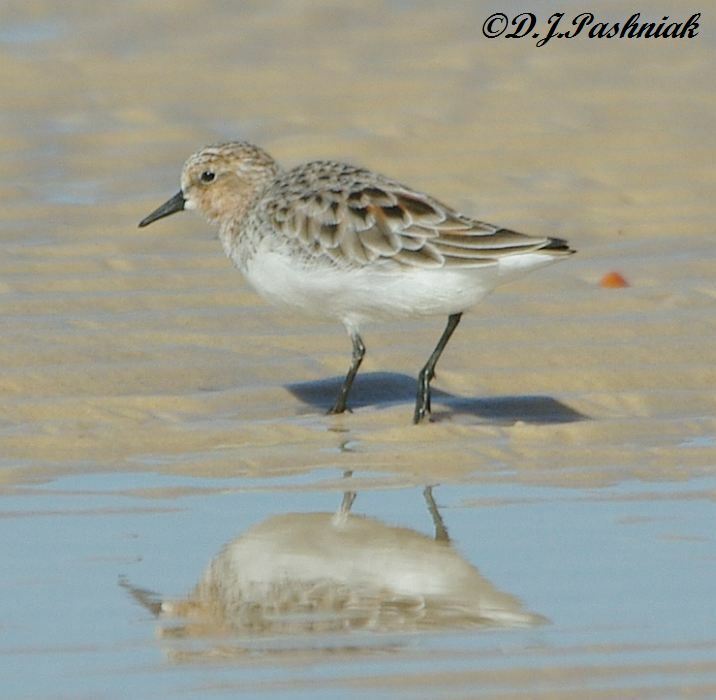 These are the smallest shorebirds to visit Australia in our summer and they breed in northern Asia - such a long trip for such small birds! 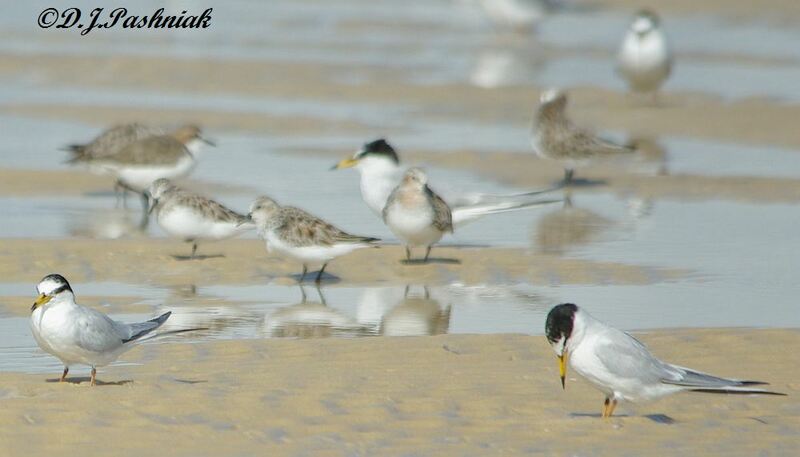 Roosting with them in the shallow water were numbers of Little Terns (Sterna albirons). 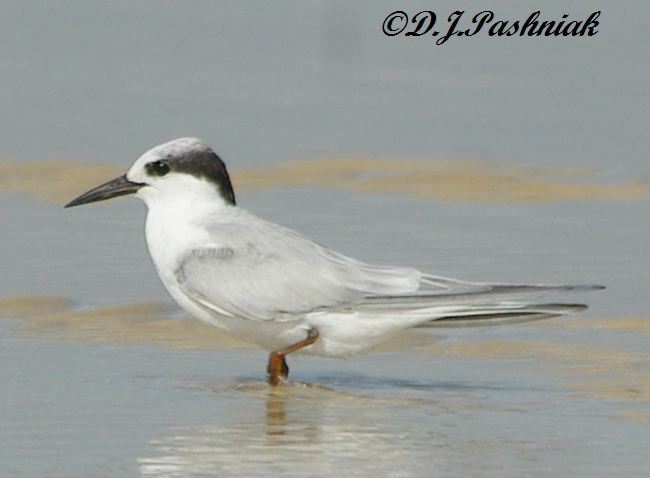 This is the smallest tern we see here in SE Queensland. 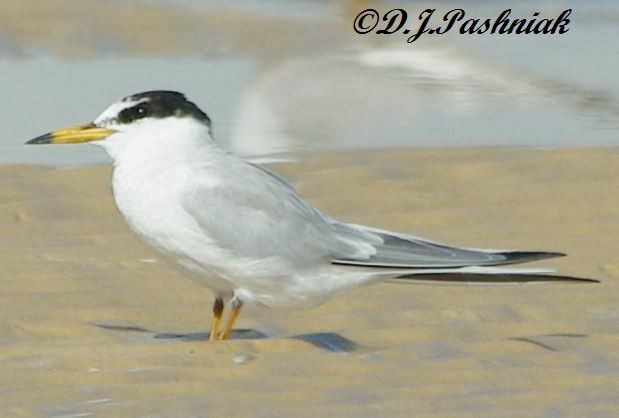 There are two distinct populations of Little Terns that we see here. 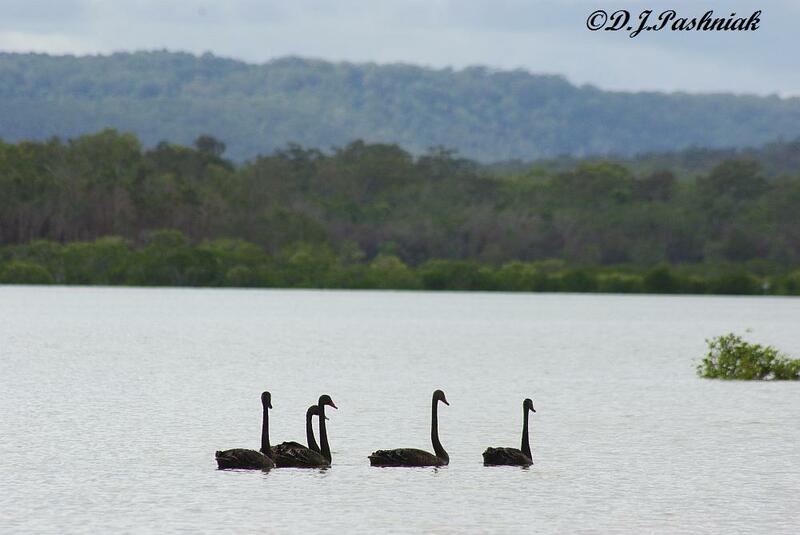 One population stays in Australia all year and breeds here. 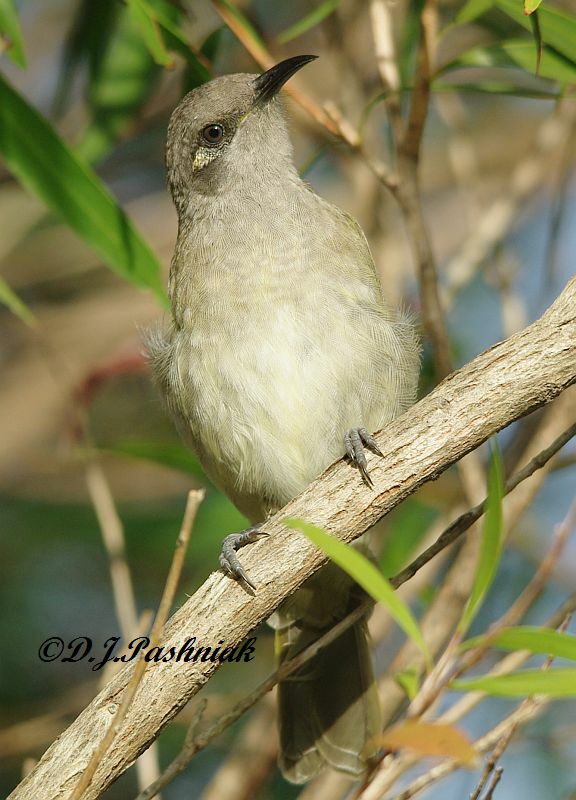 The other population migrates here for the summer and breeds in northern Asia. 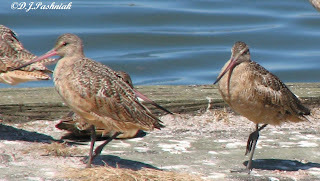 The first photo shows a bird in breeding plumage and the second photo is one in non-breeding plumage. The birds I photographed are part of the migrating Little Terns. Some Little Terns breed in Japan and I hope they find there are still places for them away from the areas of devastation. 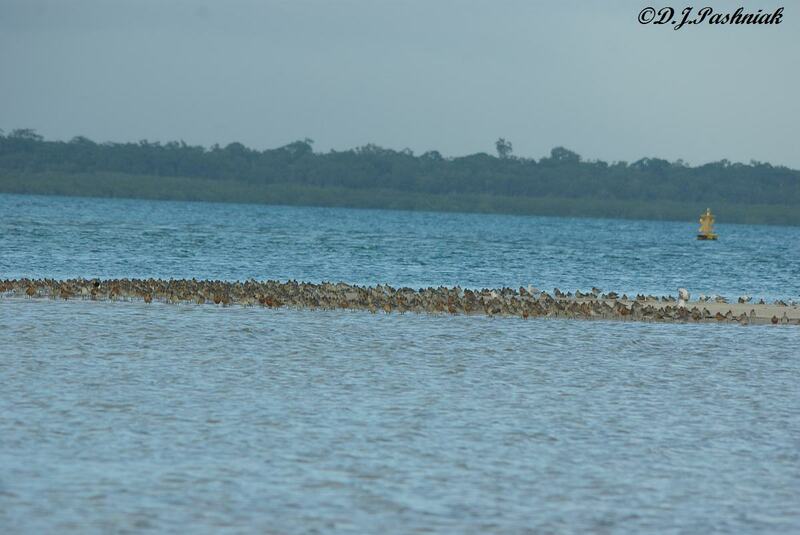 There were several thousand Bar-tailed Godwits (Limosa lapponica baueri) roosting at Inskip Point on the very early morning high tide last week. Many of them were showing beautiful red breeding colors. It is the males that get this lovely bright red all down their fronts. The females have just a faint wash of color and are more heavily barred. The red color will become even darker but I seldom see the really bright colors here. The back of the bird also gets more intense color. 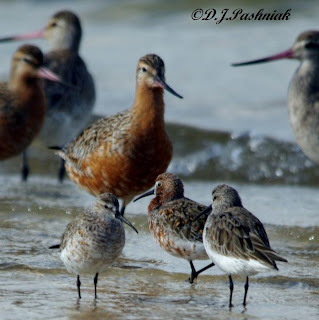 When I looked at my photos from the first morning I was out there I saw one dark red splash of color in one photo which I almost dismissed as another Godwit. 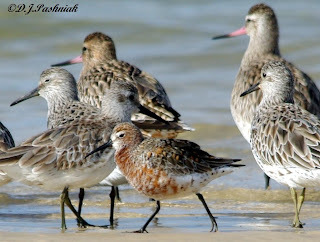 However, when I looked the second time I realized this was a much smaller bird and by comparing it with others roosting near-by I realized I had photographed a Curlew Sandpiper (Calidris ferruginea) with red breeding colors. 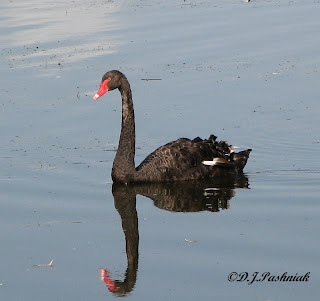 I had never seen one of these birds with such dark color. In the spring when they first arrive here they have red splashes of color down the front - but this was a bird with all-over red! I had to go back the next day and try to see it again. Curlew Sandpipers have a bad habit - from the point of view of the birdwatcher! 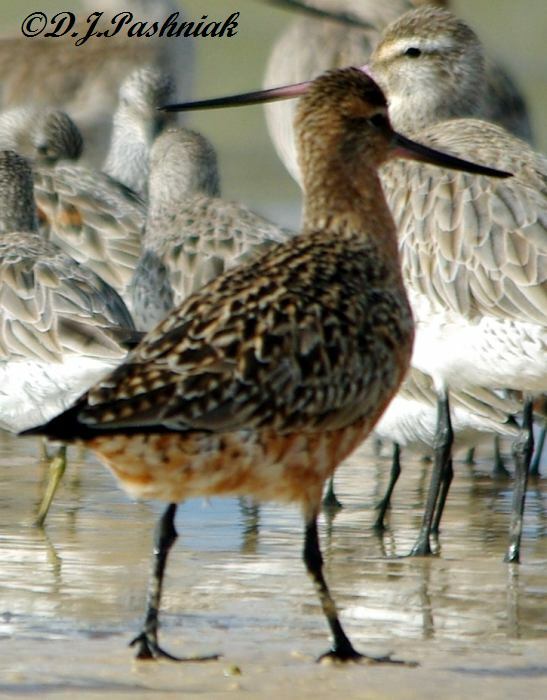 - of roosting right in among the Godwits and often all you see are a smaller set of legs in behind! 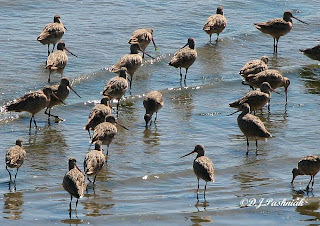 I took friends out with me the next morning and we stood and watched and photographed the birds for a long time before we saw any Curlew Sandpipers at all. However, it was worth the wait. The whole flock started moving as the tide went out and we saw a number of birds with quite a lot of red down the front. Curlew Sandpipers in front and Godwits behind. 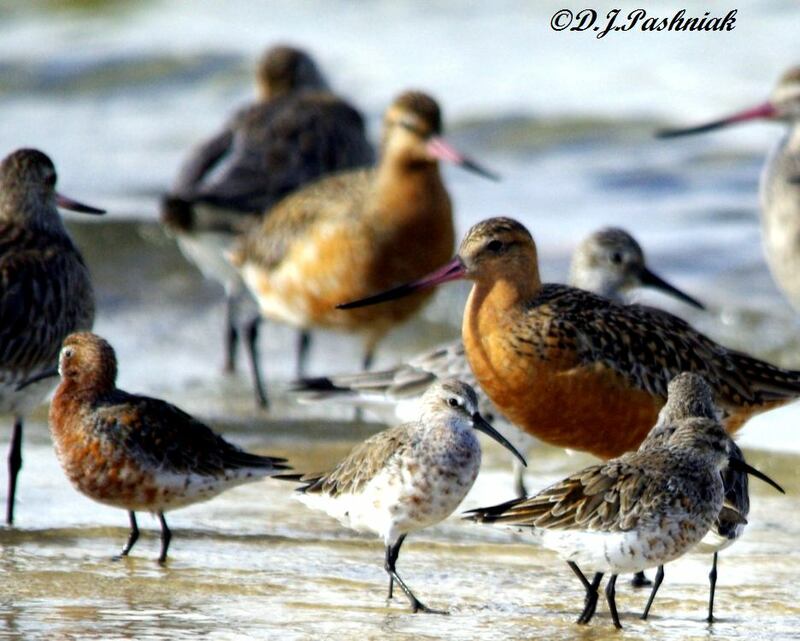 Curlew Sandpiper in front then Great Knots and Godwits behind. 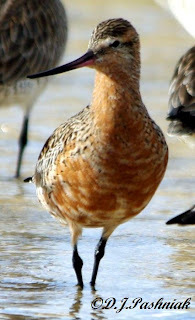 Bar-tailed Godwits breed in Alaska. Curlew Sandpipers breed in the high arctic tundra from Siberia west. There are so many beautiful shorebirds around right now that it's a bit hard to know where to start. 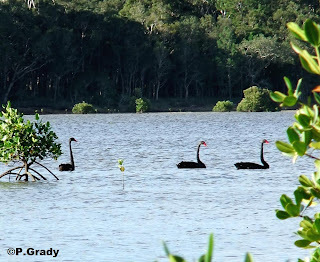 I still have to post about some of the ones I saw out at Inskip Point the other morning, but Neil has done a good preliminary report on that, so I decided to post about the Mullens roost first. It was a beautiful still morning but there was a light cloud cover. 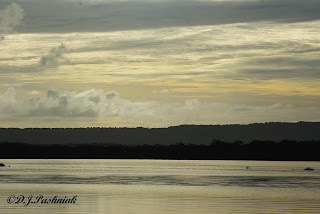 As we set out the colors across the bay were mainly gray and silver. 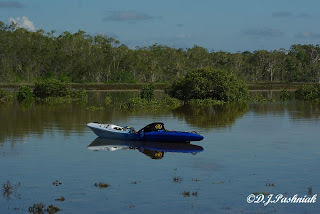 It was another good high tide so we were able to kayak right into the roost and up to the far end. There were plenty of shorebirds around but not nearly so many as a couple of weeks ago. I would guess that I saw only about one third of the numbers compared with the other week. 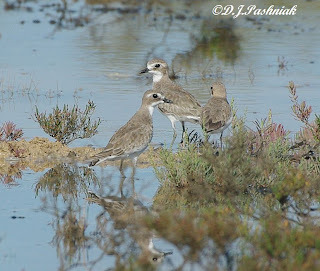 The most exciting sighting was a small flock of Lesser Sand Plovers (Charadrius mongolus) . I can usually find a flock of these birds somewhere on the roost site but they are never easy to get close to. This time I was in the kayak and I can usually approach the birds much closer this way without them being frightened. They were standing at the edge of the sand in shallow water. I slowly drifted in closer and when the kayak ran aground I slipped out and then approached a little closer by shuffling forward on my knees. 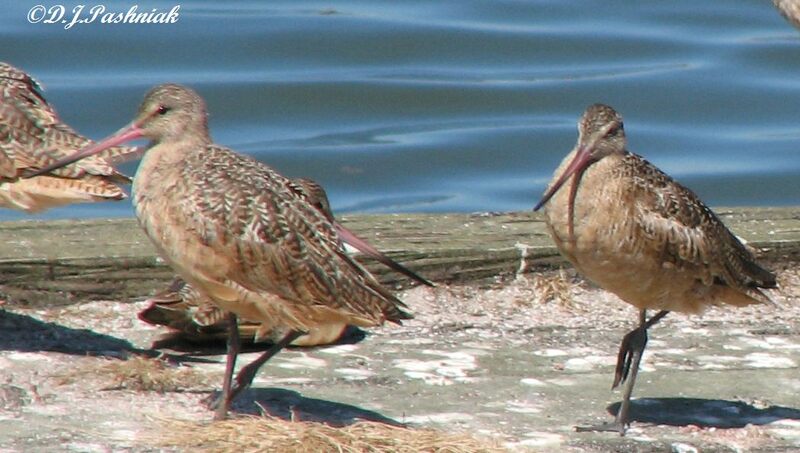 Shorebirds are less frightened if the person approaching is not seen as so tall. 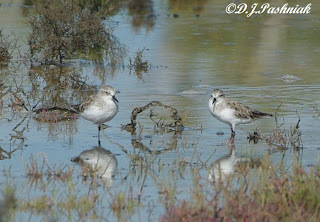 By looking back at previous photos I think this is the closest I have ever been to these birds. 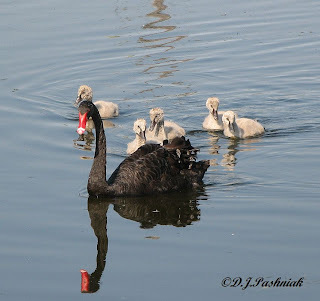 Also many of them were going into breeding plumage and I have never got such good close photos of them like this. The birds were all at different stages of their moult into breeding colors. These two were not showing any color at all. 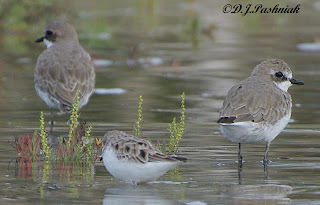 The bird in the middle front is a Red-necked Stint which looks very small beside these others. 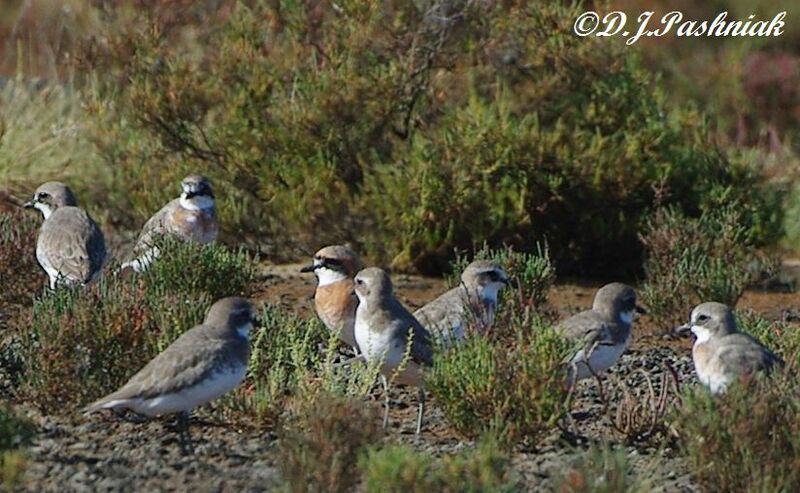 There is a Red-capped Plover out of focus in the right rear of this photo. It also is considerably smaller than the Lesser Sand Plovers. If you live in this part of SE Queensland and want to see the shorebirds in their beautiful breeding colors then you should get out to your favorite wader roost soon. I have received notice from other sites on the Sunshine Coast that some of their shorebirds have already left. 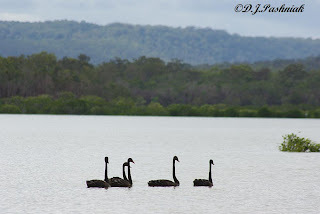 I have been out at Inskip Point for the last two mornings and took these photos. There is an early high tide right now and so I got out there VERY early before there were either people or vehicles disturbing the birds. The breeding colors on the birds were amazing. 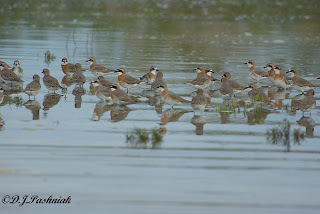 I shall post about individual species next week but I wanted to let everyone know that the birds are there right now and well worth seeing. All these photos were taken right on the Point. Be patient if they have their backs towards you. They eventually turn around and it's worth waiting for. The other week I posted about Black Swans I had seen down here on the bay. However, none of the photos was close enough to show any details of the birds. So I went into my photo archives and found some that I took some time ago. 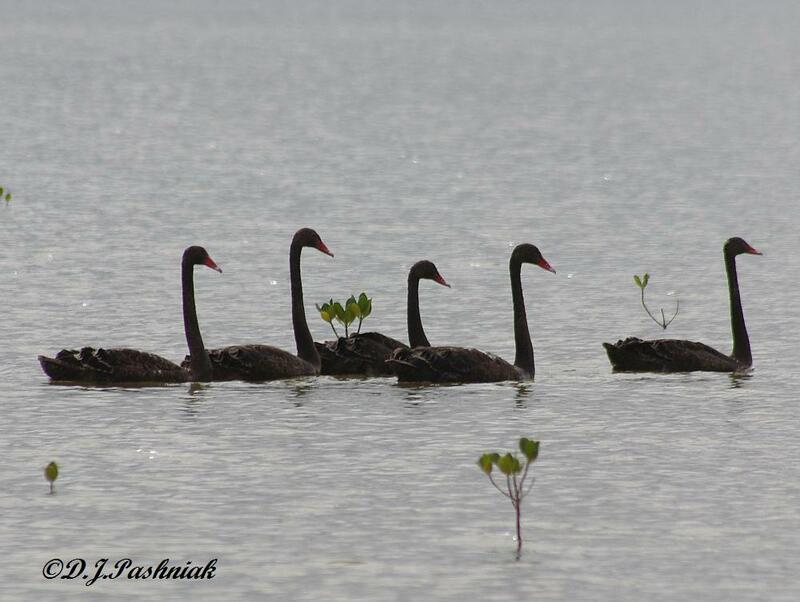 If you want to get close to birds then go somewhere that the birds have become used to people close to them! These photos were taken in one of the parks right in Gympie - the closest town center to where I live. 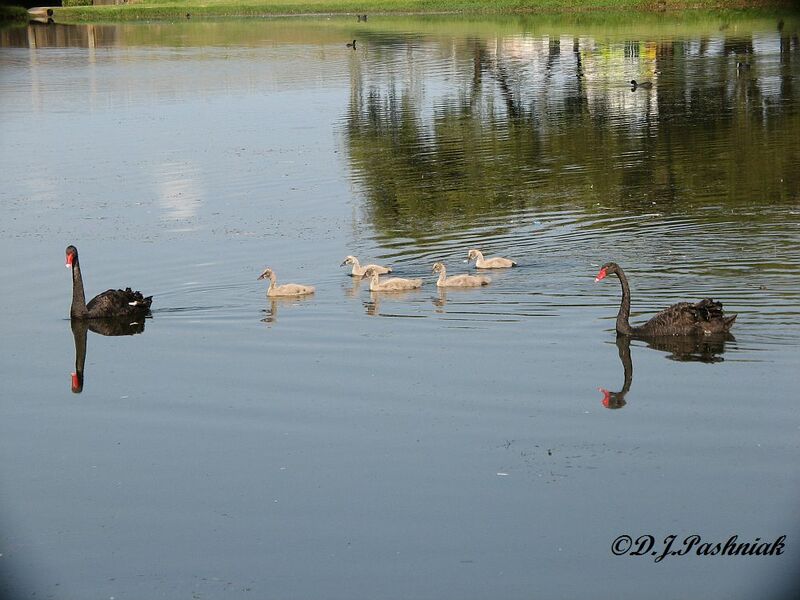 These swans were living on a series of ponds and had raised their young ones right there where they were all used to people. Today I have published my first "Page". Blogger says that pages "let you publish static information on stand-alone pages linked from your blog". 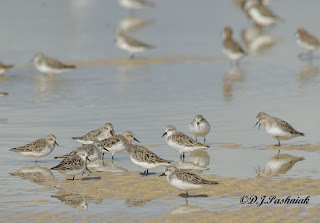 Because the information on Flyways applies to many of my posts about shorebirds I wanted to make it easily accessible from anywhere in my blog. As time permits there are a number of other topics that I intend to publish in this way. Nearly every morning before it is light, one of these little birds starts singing in my yard. 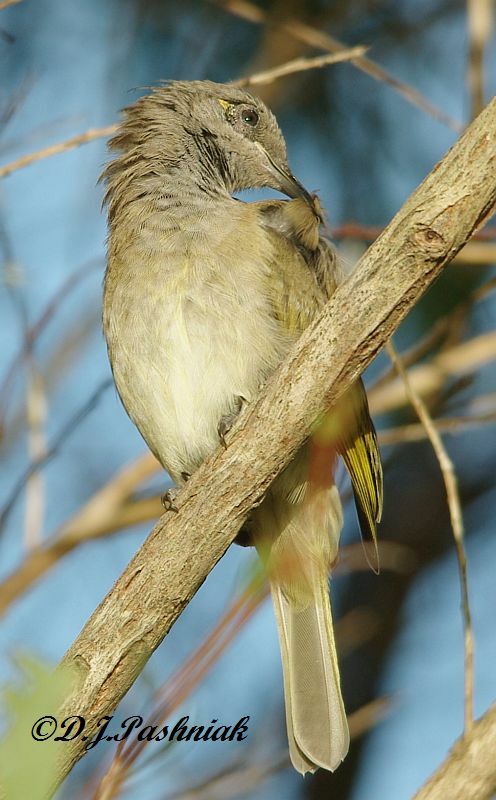 Brown Honeyeaters (Lichmera indistincta) are small - only 12-16cms - and easier to hear than see. However, the ones that are in my yard seem to be used to me and as long as I make gentle noises and let them know I am coming down their way they let me get quite close. 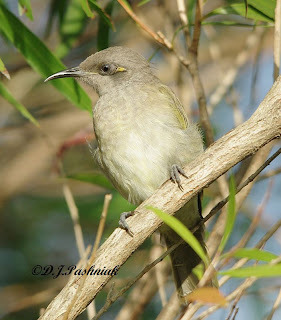 This one was sitting in one of the Callistemon trees which is an Australian native tree. It was preening first one side then the other and finished up by reaching right over its back and catching its tail and giving that a good preen as well. 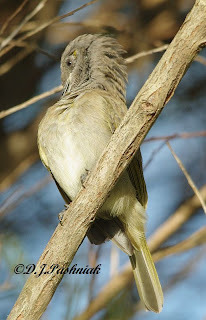 This little video has a Brown Honeyeater singing in one of the trees. 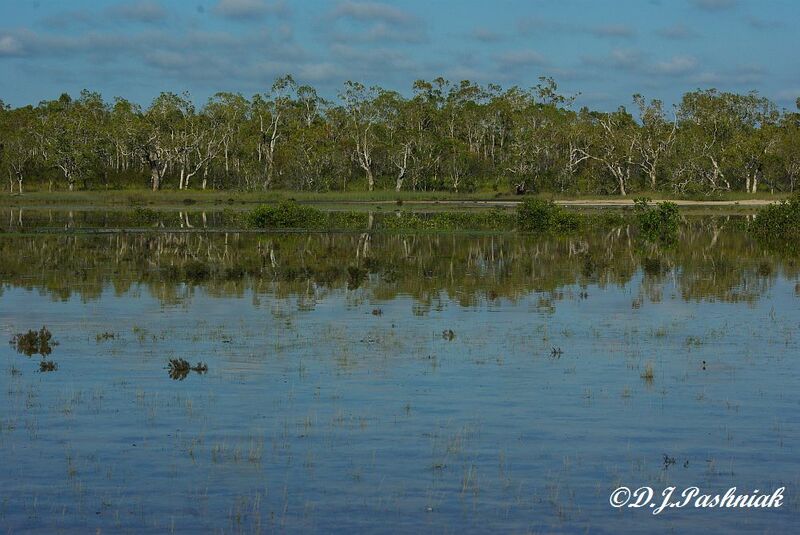 Mullens roost site is always beautiful on a high tide. Kayaking in there when there is no wind is especially beautiful. 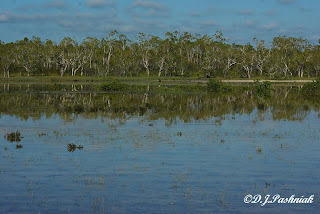 The bay is very shallow and covered with saltmarsh plants which gradually go underwater as the tide comes in. The birds retreat from the tide until they are roosting up against the higher vegetation. Saltmarsh plants are low growing and small shorebirds - such as these Lesser Sand Plovers - can be very hard to see amongst the plants. 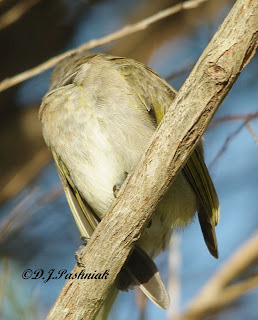 Several of these birds are beginning to show breeding colors. They get a dark red color down their front and around the neck. 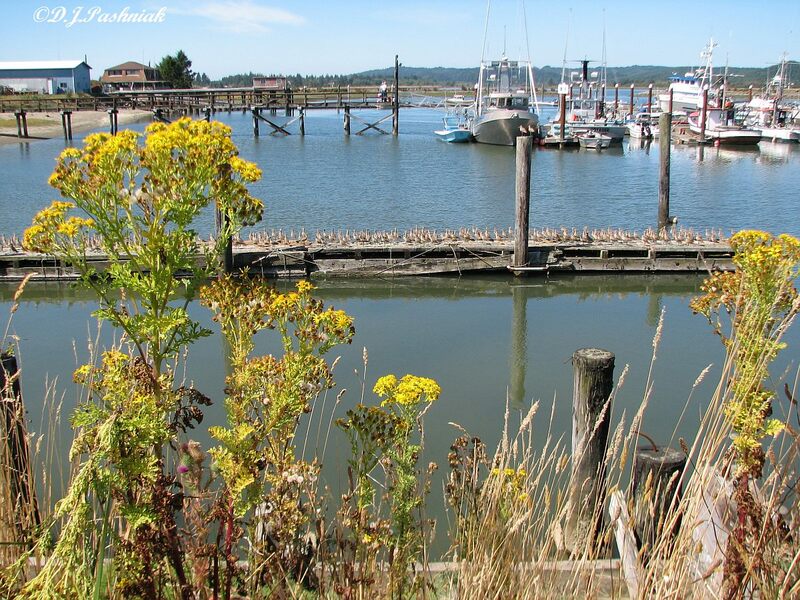 Some of the birds continue to hunt around for food while the water comes around the plants. The birds and the plants make perfect reflections in the still water. These are also Lesser Sand Plovers not yet showing breeding colors. These Red-necked Stint were perfectly posed around the small plants. A few years back I had a holiday in Washington State in the USA. 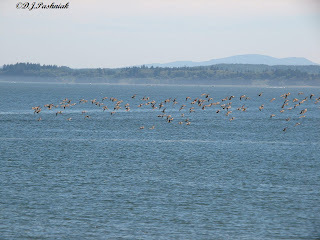 One of the specially nice things I did was to go out to the west coast to see the migrating shorebirds. 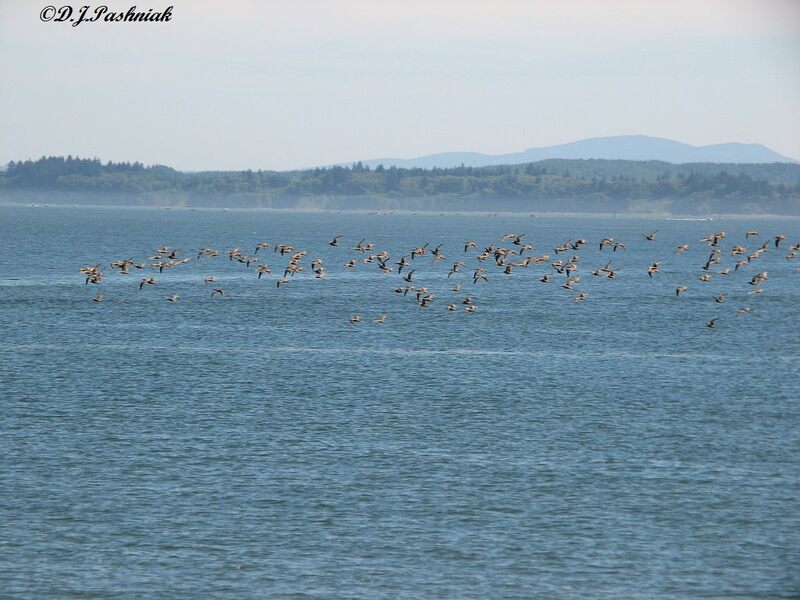 It was August and the birds were migrating south after breeding up in the far north. 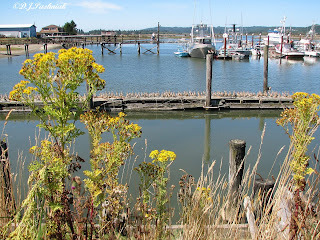 We traveled to the Grays Harbor area and I think these photos were taken at Tokeland. We walked out on one of the piers. 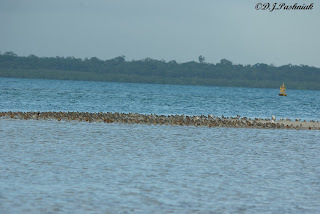 On one side the Godwits were walking and feeding in the shallow water and on the other side they were all lined up along another pier that was not in use. 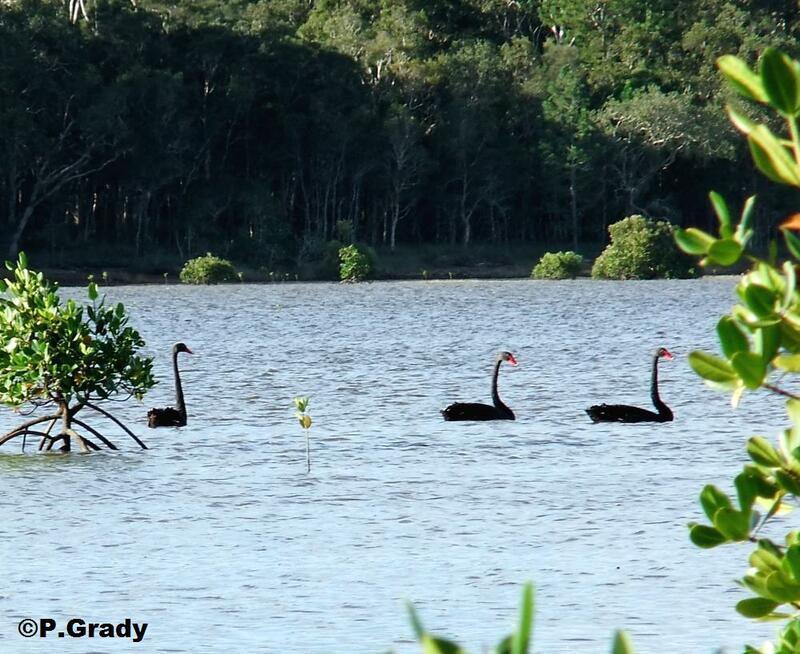 These are not the Bar-tailed Godwits I know and see out here (in SE Queensland, Australia) but are Marbled Godwits (Limosa fedoa). As far as I know they are from the sub-race beringiae which breeds in Alaska and winters down in California. (I hope this is right - my books are not detailed about the species in North America.) 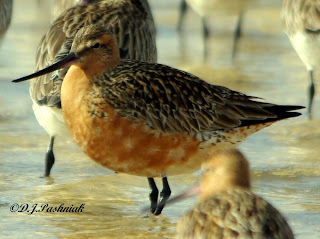 It was fascinating to see these birds which looked similar to the Bar-tailed Godwits I know out here but which were quite a different color. The bill also looks straighter than that of the Bar-tailed Godwits. As we stood watching on the pier there were more flying in to some other roost site a little to the west of us. I was told that there are even greater numbers of shorebirds seen during a shorter period during the migration northwards. 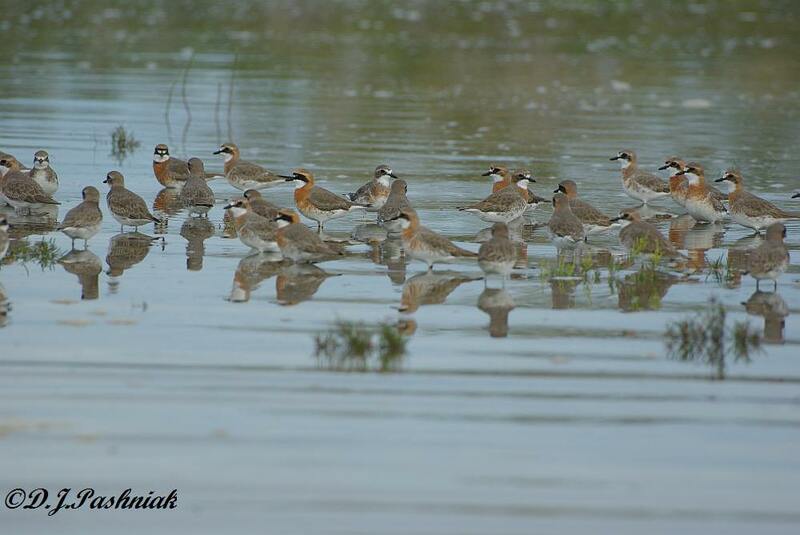 This migration starts around April 21 and continues for about 3 weeks. 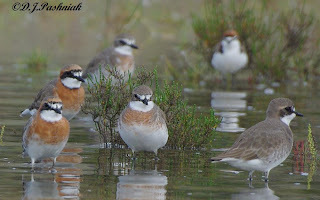 It would be great to be there during that time and to see so many birds all using the area to feed and rest.